The Agents Giving grant fund helps towards the set up costs of your fundraising event, so more of the money you raise goes to your chosen charity. Hammond Property Services; the Nottinghamshire Estate Agents have been busy fundraising to celebrate their 30th year in business. They are planning many events throughout the year and to celebrate their pearl anniversary they are supporting Guide Dogs and are raising £5,000 to train a guide dog named Pearl. Their next event is the annual quiz night in Bingham which Agents Giving are supporting with a grant towards the evening’s costs. Last year’s Hammond’s quiz was launched with Founder of ChildLine Dame Esther Rantzen and raised over £2,000 for the charity. Paul Wood from Pygott & Crone are raising money for the St Barnabus Charity in Lincolnshire who deliver free, high quality compassionate end of life care and support to more than 10,500 adults with a life-limiting or terminal illness and their family. Paul is rallying the troops to take part in the Lincolnshire 10k marathon, they have 64 runners signed up so far from their 9 branches. Agents Giving helped towards their entry fees and t-shirts, so more of the money they raise will go direct to this wonderful cause. Oliver & Akers Estate Agents in St Albans whose owners Anthony Oliver and Vic Akers OBE are organising their 5th annual charity golf day in aid of Macmillan Cancer Care, they have invited 120 gofers to enjoy a day of golf, dinner and charity auction. They are hoping to beat the £7,000 raised at the same event last year, Agents Giving have supported them with a grant to help with their golf day costs. Michael Stoop, Chairman of Agents Giving comments; “The Agents Giving grant fund is actively helping agents with their event set up costs, meaning more of the money raised goes directly to their chosen charity or cause. Last year we helped agents fundraise over half a million pounds and we are looking forward to supporting agents again this year”. So what are you waiting for? Plan your next charity event and apply for an Agents Giving grant to help you with your costs. 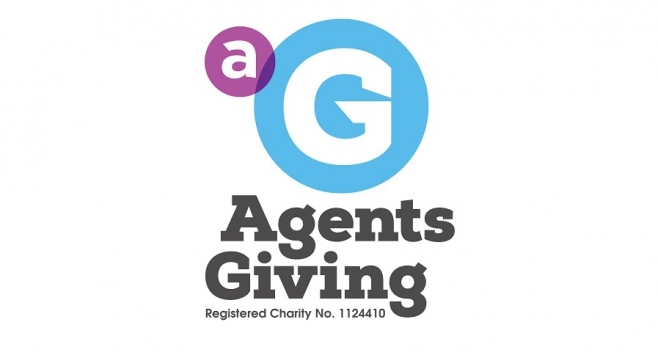 Any requests should be made via a registration form on the Agents Giving website; http://agentsgiving.org/the-agents-giving-grant-fund To apply for a grant you must be fundraising for UK registered charities.